#1 Sales App for Mobile Salesforce Automation. 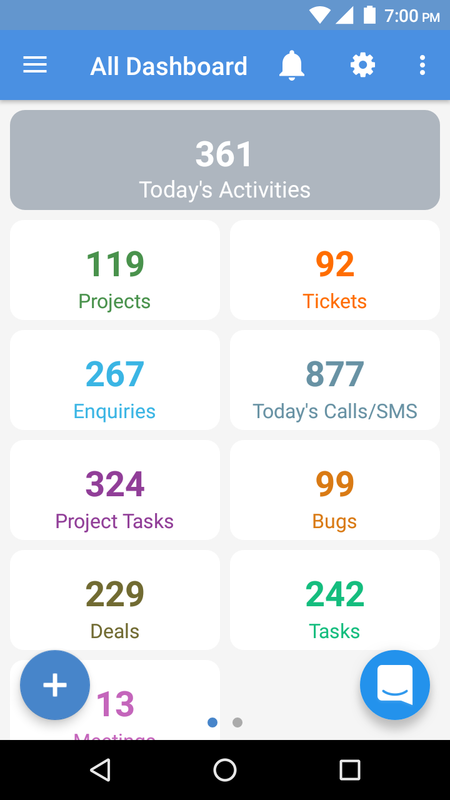 A Mobile CRM that empower your Field Sales and Sales Managers with automatic Activity Logging and intelligent reporting. No one loves data entry, especially small business teams. We understand that mobile CRM Solutions have to be effective for sales teams, by reducing Data Entry and providing Real-Time information. 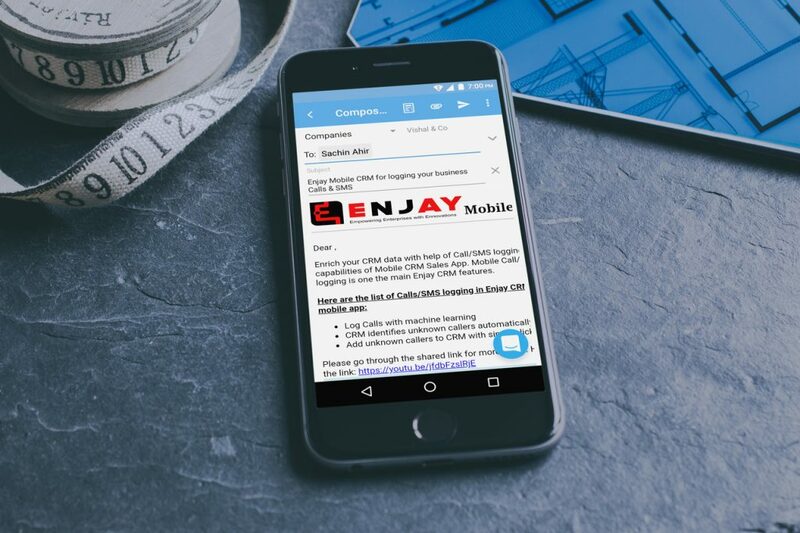 Here is why Enjay CRM software has the best mobile CRM. Innovative role wise dashboard shows everything you want to know. Personalised, configurable, user wise CRM dashboards. Complete detail of person or company as well as all the related information on a single screen with few clicks. Swipe gestures for easy contact management and activity.Call/ SMS/Email/WhatsApp with a single action. Calls, SMS, Emails and geo locations for meetings are logged automatically almost eliminates data entry for Sales Teams. 65% of work can be reduced with Templates. User-defined Dynamic Templates for SMS/ WhatsApp & Emails. Use Email templates to send individual or bulk Email. Get notified when your emails are opened or clicked. Mobile CRM App to manage Sales Process and Customer Service. Enjay CRM Platform provides all the customer information required for sales operation to the field Sales Executives and Sales Managers. Dashboards for Sales Teams and Team Managers. Native App Works on all mobile devices (iOS and Android). Quick actions with gestures to help you work smart. Mobile CRM Sales App Templates increases productivity. A study says that templates reduce Communication workload of Sales Team by 65%. This is significant. 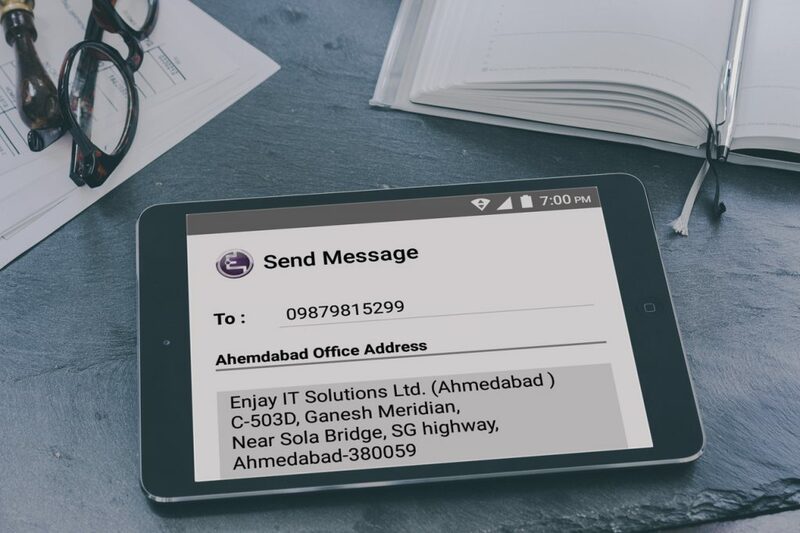 Enjay Latitude Mobile CRM provides templates for all kinds of messages – Email, SMS, WhatsApp. Template based messages improve customer relationship. Easily create pre-formatted templates for SMS / WhatsApp / Email. Use our readymade templates to customise your own set of templates. Create more customer engagement with personalised messages using Variables from CRM Data from any module or related module. Engage customers with automated workflow based messages. Can be used for Lead Prospecting, Sales process or even Customer on-boarding. Get notifications for open and click on Email Templates. Find which templates give best results and which needs fine tuning. 78% of Sales Enquiries are lost because of lack of proper follow-up. Mobile CRM system enables Sales teams to track schedule and track their calls and meetings with just three clicks. 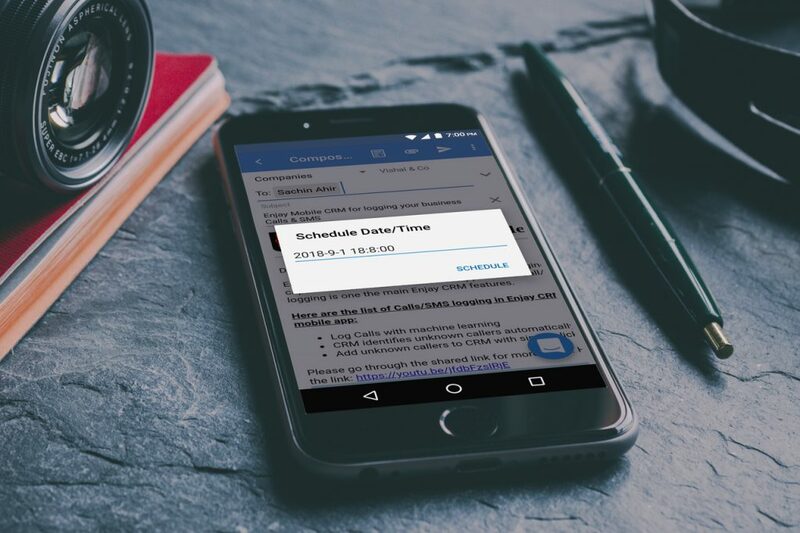 Enjay CRM application provides a unique way of managing Follow Ups with just three fields; Next-Follow-up-Date, Next-Follow-up-Time, and Next-Follow-up-Type. Get Notification when things are due. Follow-up is one of the most important component of mobile sales force automation. 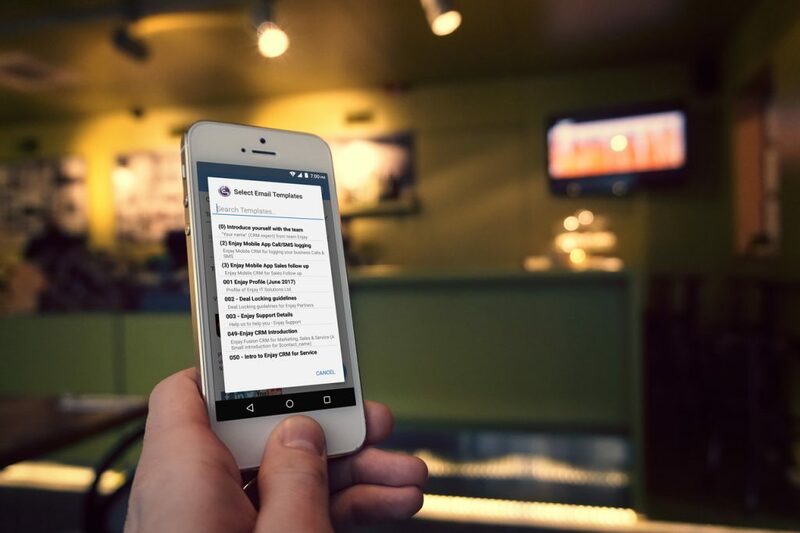 Best Mobile CRM for Easy Meetings and Minutes of Meetings. Single Click Check in and check out. Log timing and Geolocation of meetings. Add Images, docs, signature or audio as MOM. Add notes by typing or speaking.